It certainly seems like Google and LG have been ramping up production of the Nexus 4 after the initial launch left countless customers without a phone. While it's still unclear if they've made enough to meet worldwide demand, there will at least be one group that will finally have complete representation: T-Mobile stores! Back in November, the company picked up Google's latest flagship handset online and in 'select stores.' 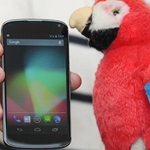 As of some undisclosed time this month, however, all retail locations will carry the Nexus 4. It doesn't look like anything related to device subsidies or contract requirements are going to change, despite a brief scare in December when the on-contract price shot up to $400. 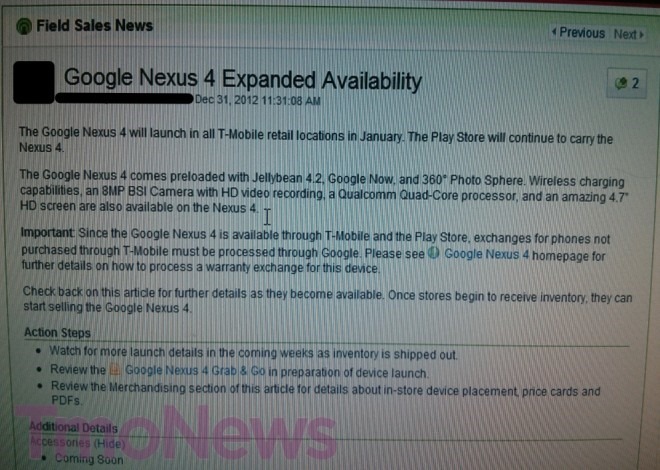 Also, we can learn from this document that T-Mobile will not accept returns for Nexus 4s ordered via the Play Store. In case you were thinking you could get away with that. You sneaky devil, you.